Facsimle Film, Fax Film and Ribbon Cartridges. Nylon Ribbon Cartridge. Our Products >> Print, Copy, Scan and Fax >> Facsimle, Fax Film and Ribbon Cartridges. Shop Facsimle, Fax Film and Ribbon Cartridges. Brady TLS2200 R6010 Black Printer Ribbon 2" X 75' Brother 9060 Black Cassette Ribbon Cartridge. New. OEM. Brother PC-102RF Compatible Intellifax 1150, 1250, 1350M. New. Brother PC-201 Fax Cartridge. New. 75001. Brother PC-201 Generic Facsimile Cartridge. New. 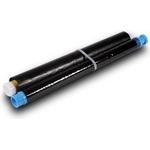 Brother PC-202RF Fax Refill Rolls. New. Compatible. Brother PC-301 Cartridge Ribbon. New. Compatible. Brother PC-301 Fax Ribbon Cartridge. New. Brother PC-302RF Brother PC301 Cartridge. New. Brother PC-401 Cartridge. New. Compatible. 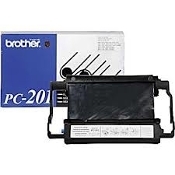 Brother PC-402RF Fax Facsimile Refill Roll. New. 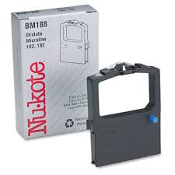 Brother PC-91 Compatible Ribbon Cartridge. TFB91CRT. Brother PC-92RF Fax Facsimile Refill Rolls. New. Canon 350 Kit. New. H11-6143-210. Fax Ribbon. Canon 610 Fax Thermal Transfer Ribbon Film. New. Citizen IR51 Red/Black Nylon POS Ribbons, Box of 6. IR-51RB. Dataproducts LM 300/600 HP2608. HP 2608. New. Black. Epson 7753 Ribbon Cartridge. OEM. New. Black. 32.8' 10 meters. 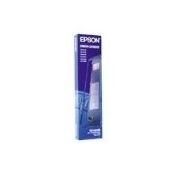 Epson S015086 Ribbon Cartridge. New. OEM. Black. Genicom 3A0100B02. 3800 3900 Ribbon Cartridge. New. OEM. Genicom 44A419819-G06 Black Fabric Ribbon Cartridge. New. Nu-Kote ERC-09 Purple Matrix Inked Seemless Nylon Ribbon. Oki Microline 52103801. 051851040523. Black Cartridge. OkiData 4018 Microline 80, 82, 83, 92 and 93. New. Okidata 52102301 Black Ribbon. New. OEM. 292. Okidata Ribbon Cartridge. 52104001. New. Panasonic 16041 Fax Thermal Transfer Ribbon Cartridge. Panasonic Fax Film Replacement Rolls. New. 2 Pack. 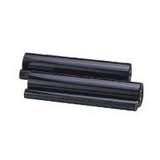 Panasonic Fax Film Replacement Rolls. 2 Rolls. New. 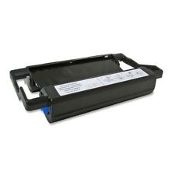 Panasonic KX-FA132 Compatible Fax Thermal Cartridge. Panasonic KX-FA132 Facsimile Ribbon Cartridge. New. 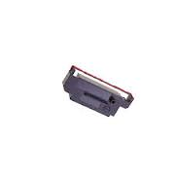 Panasonic KX-FA133 Compatible Fax Thermal Ribbon. New. Panasonic KX-FA133 Compatible. Thermal Ribbon. New. Panasonic KX-FA135 Facsimile Refill Cartridge Roll. Generic. 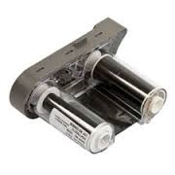 Panasonic KX-FA136 Fax Refill Rolls. New. 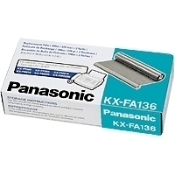 Panasonic KX-FA136 Fax Thermal Transfer Ribbon. New. Panasonic KX-FA136 Replacement Film. 2 Rolls. NEW. OEM. Panasonic KX-FA53 KX-FA55 Fax Thermal Ribbon. New. Panasonic KX-FA55 Replacement Film. New. OEM. 2 Rolls. Panasonic KX-FA55A Fax Ink Film. New. 2 Rolls. OEM. Panasonic KX-FA65 Fax Thermal Transfer Ribbon Cartridge Panasonic KX-FA65 Thermal Fax Ribbon Cartridge. New. Panasonic KX-FA92. Compatible Facsimile Refill. New. Panasonic KX-FA93 Fax Thermal Transfer Ribbon. New. Panasonic KX-FB421 Facsimile Ribbon Refill Roll. 2 Rolls. New. Panasonic KX-FHD331 Fax Ink Film. New. 2 Rolls. Panasonic KX-P145 Printer Ribbon. New. 092281052090. Pelikan Z763 Correctable Typewriter Lift Off Tape. New. Sharp 15CR Thermal Transfer Ribbon Rolls. 2 Per Box. 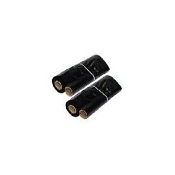 Sharp 3CR Fax Film Thermal Transfer Ribbon Rolls. New. Sharp Compatible UX-10CR. New. 2 Fax Refill Rolls. Sharp UX-3CR and FO-3CR Compatible Facsimille Refill Rolls. Sharp UX-3CR Printer Cartridge. UX-460. New. Staples 236166 Thermal Fax Paper. New. Six 98' Rolls. Star SP300 Black Nylon Ribbon Cartridge. New. Star SP300 Purple Nylon Ribbon Cartridge. New. 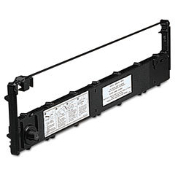 Xerox Fax Telecopier 7024 Imaging Cartridge Refill. New.